Leaks from pipes, plumbing fixtures, and fittings are a significant source of water waste for many households. Leaks may occur in copper, galvanized steel, ductile iron, CPVC, PVC, polybutylene and cast iron piping and can happen in every conceivable location inside, outside, above or below ground. 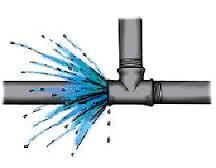 Research has shown that the typical home can lose 2,000 to 20,000 gallons of water per year due to undetected leaks. 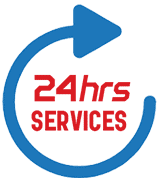 All Hours Emergency Plumber has a four-step water line repair process. Test – Now if there is a water pumping all over the floor, this step is much slower. The testing process occurs so that we can see exactly where the water stops flowing in the positive direction. Often we can hear it, and we can use CCTV to find the precise stoppage point. Shop – After we’ve found where the leak is we shop to find the appropriate parts. Sometimes that means consulting our truck, other times it means the local hardware store. Once we find it, we can begin the replacement stage. If not, we must use preventative measures such as wedges or turning the water line off. Replace – The process is the bulk of the work. We begin by finding the fastest way to the leaking or broken area, and we either uproot ground or remove furniture and housing to access the area. Since the water is turned off, it makes the process much simpler. We sever the line and replace the new one before restoring everything to the normal location we will test! Test – One final, much shorter test will occur to make sure there are no additional leaks. Once confirmed we could pack it up and go home. 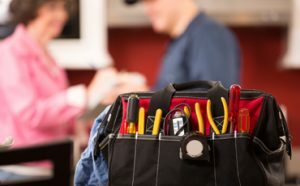 Technicians are qualified to repair and replace all types of piping leaks. We can identify and repair leaks that occur in copper, galvanized steel, ductile iron, cpvc, PVC, polybutylene and cast iron piping and every conceivable location inside, outside, above or below ground.